Sorry, this adventure is now fully booked but you can still add yourself to the waiting list and be automatically notified if a place becomes available. Or if you like the idea of spending some time in the Peak District but not into mountain biking, have a look at our Peaks and Moors Spring Hiking Weekend running alongside this event. Gear up and accelerate your abilities with our two-day skills-focused course on some of the most iconic trails in the Peak District - by the end of this weekend you'll be able to ride more safely and confidently on off-road routes and get the knowhow to start exploring on your own adventures! If you've been to the Peak District walking or riding before you'll know there's a lot to take in - from exposed moorland to green lanes and bridleways. You can get a challenging workout or make the most of an easier route with chances to stop and take in the gorgeous scenery. 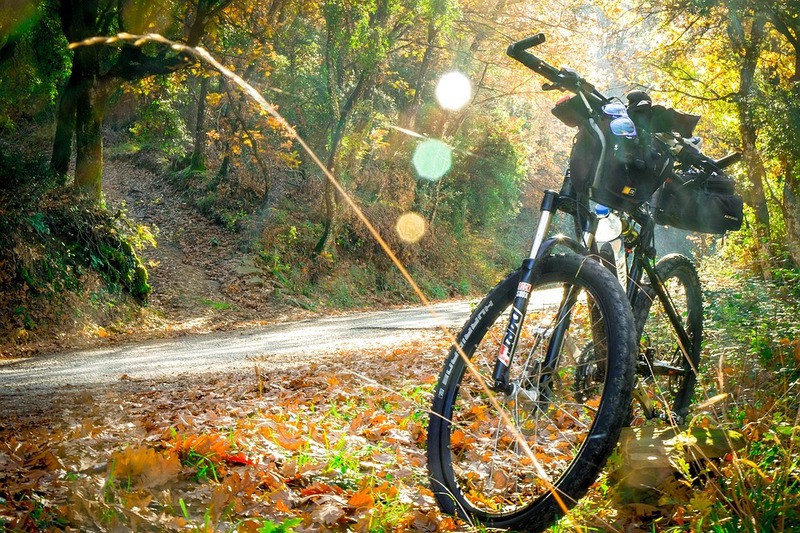 There is something for all outdoor-lovers here, and it's no different for mountain bike riders! You might have owned a mountain bike for years and your skills might be a bit rusty, or you might be worried about riding safely or less confident picking suitable routes, or you might not have ever ridden a mountain bike before and are just curious on how to get started (however we've assumed you already know how to ride a bike!). Whatever your ability level, everyone is welcome, and this course will help you overcome all your uncertainties and open your eyes to a new world of possibilities... From initial bike set-up and using your gears to the best advantage to picking your way uphill and downhill across various types of terrain, by the end of this weekend you'll have all the skills you need and an increased appetite for your own mountain biking adventures! The course will be delivered over two full days by locally-based, accredited and experienced Mountain Bike Instructors. We'll be in a small group of 8 with one instructor - the small ratio means you'll have plenty of opportunity for personalised advice and the chance to get some one-on-one skills tuition throughout the weekend. You're more than welcome to bring your own bike or you can hire a bike, helmet and repair kit all from us! You'll be sharing our accommodation with the 8 participants on the EC Peaks and Moors Spring Hiking Weekend, the lovely John Hunt Base at Hagg Farm, situated between Ladybower and Glossop in the High Peak. It's ideally situated for hillwalking, mountain and road biking, trail running, photography and sightseeing. There is a lounge/dining room with TV/DVD, well equipped kitchen, and recently refurbished showers and toilets. Sleeping accommodation consists of bunk style and single beds split between 4 bedrooms. Duvet, sheets and pillows are provided so you'll just need to bring a towel. In the grounds are a picnic area, wildlife garden with large fire pit and a playing field with climbing boulder. We've got the fire pit to ourselves on Saturday night so bring some marshmallows! You'll need to pay a £75 deposit with the balance due six weeks before the course. Spaces on this course are limited so book now to avoid disappointment!